Wednesday nights are out for me. Period. I'm already busy. Cheese and wine? Sorry. Pints and free dinner at the local pub? No dice. Why? 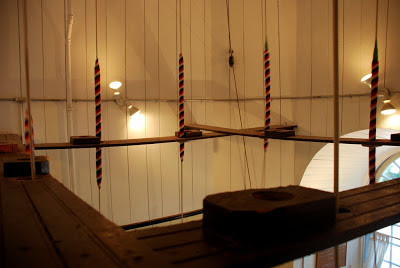 Because I'm busy ringing bats out the belfry at the local Anglican Cathedral. 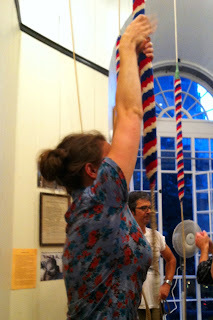 Nearly two months ago, I wrote about learning to ring bells, and included a link to a QCT article I did with more background about the particular bell tower where I ring. Most folks think it sounds neat, but definitely a little dingy. I have to admit, the whole experience is somewhat abstract for me, too. 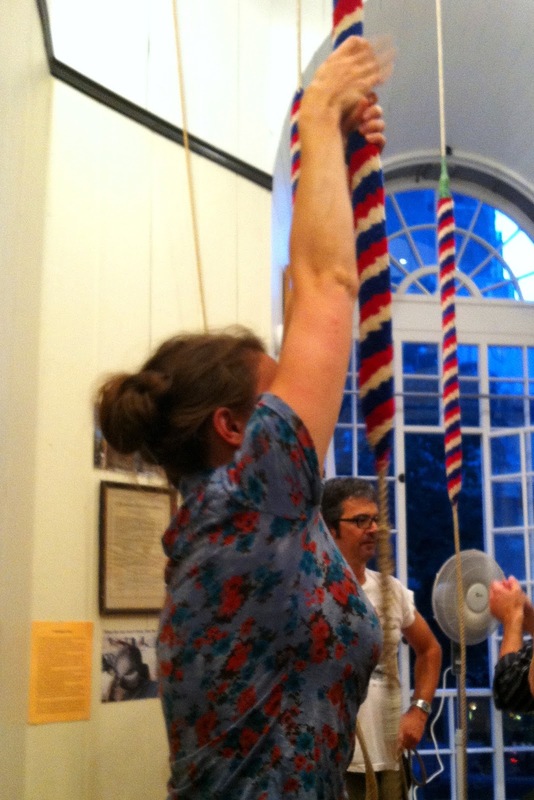 After almost a year of ringing, I have yet to see the eight bells that chime overhead every Wednesday, Sunday, and on special occasions in between. Happily, though, one of the other ringers just shared the following video, which tells the story of "The Queen's Bells." They are a set of bells made last year by the Whitechapel Bell Foundry in the United Kingdom. They were to be installed in the St. James Garlickhythe church, but first, they were cast with the names and crest of the royal family, and pealed out across the Thames as part of the Jubilee pageant. If you take the time, the 30-minute-long video is quite the tale. At about 8 minutes, you can see the bells ringing. 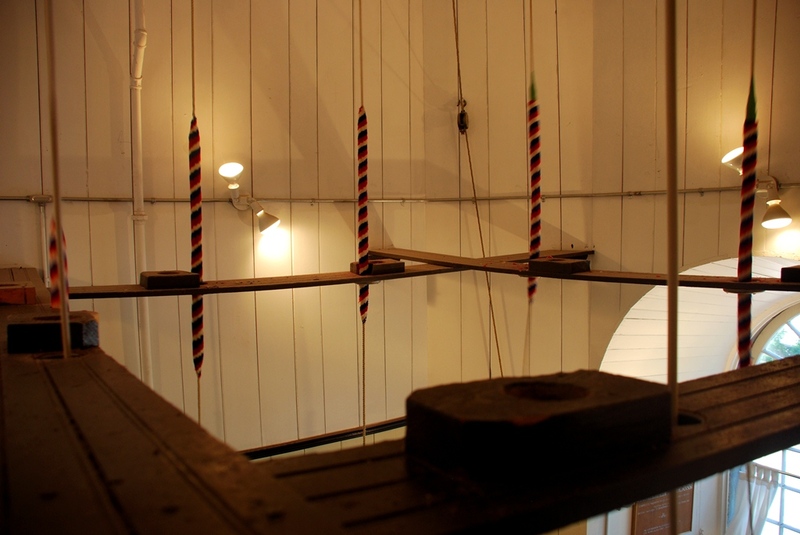 0-8 minutes shows how the bells were made, at ~15 minutes, you see the royal barge, and ~17 minutes, you learn the story of the specific bells while they are being dedicated at the church. Around 13 minutes, you can see the bells ringing out on the water, during the Jubilee pageant There are some pretty neat things in the church, too, including a _________ that was relocated to accommodate the bells - I won't spoil the surprise. If you watch it, I'd love to hear what you think. If you haven't had enough, this paper published in the journal Advances in Acoustics and Vibration describes the physics at work when one is ringing, or installing, change ringing bells.